During the design of a new construction and modernisation, walls and ceilings typify the appearance. And as part of the construction important for fire safety and acoustics. 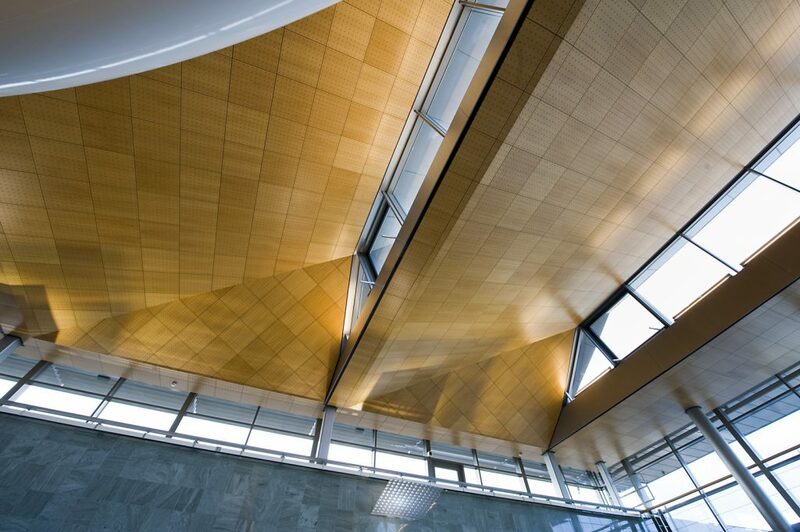 Lawapan ® consists of a program of ceiling panels that meet all the requirements. 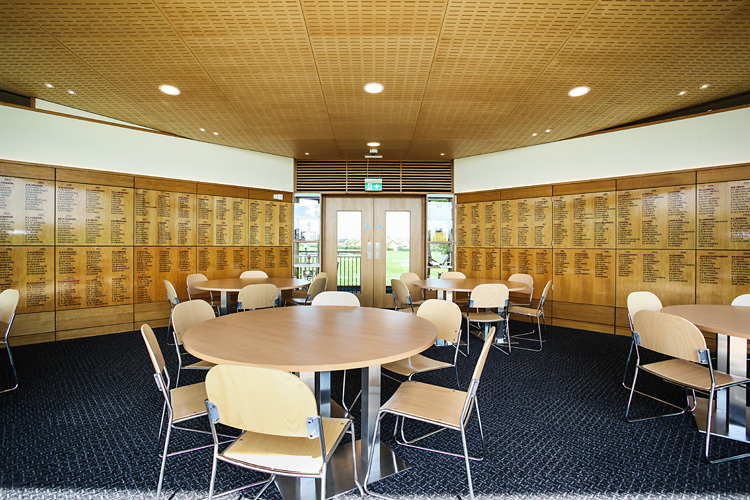 The core of the Panel consists of MDF engineered solid wood (ESW) with a decorative top layeron the visible side. 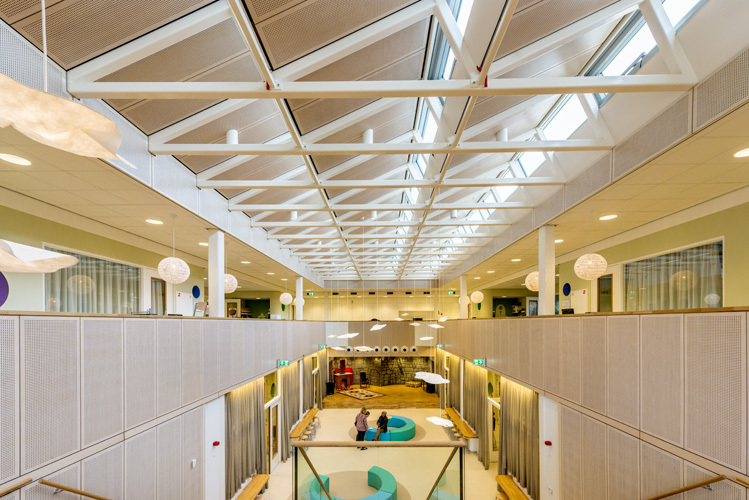 The acoustics is achieved by flat (plain) panels for reflection and by panels with round or oval perforations for absorption. Dimensions and implementation tailored to the project. Easy to install on the construction site and maintenance free. The program was created in collaboration with architects and installers. This is the starting point: versatile, practical, eye for detail and cost efficient by clever use of raw materials and assemble with T-profiles. This has resulted in 4 models for ceilings. In addition, there are also two wall mounted, type Standard and Trend. 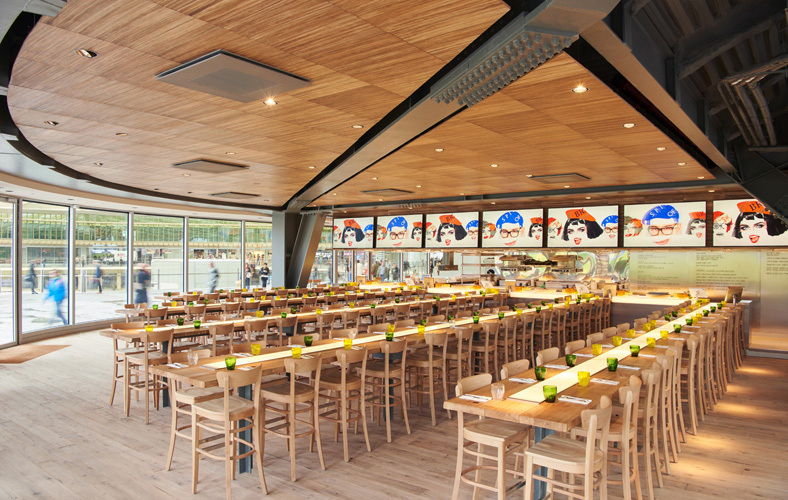 Individually removable panels ensure full access to the space above the ceiling (plenum). This is important for periodic maintenance and inspections. Thanks to the use of metal T-24 profiles the panels are fast and easy to mount. 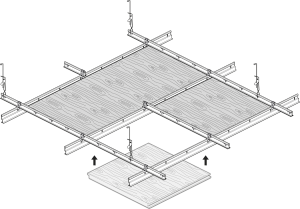 Depending on the model the profiles are either visible, partly-visible or invisible after assembly. 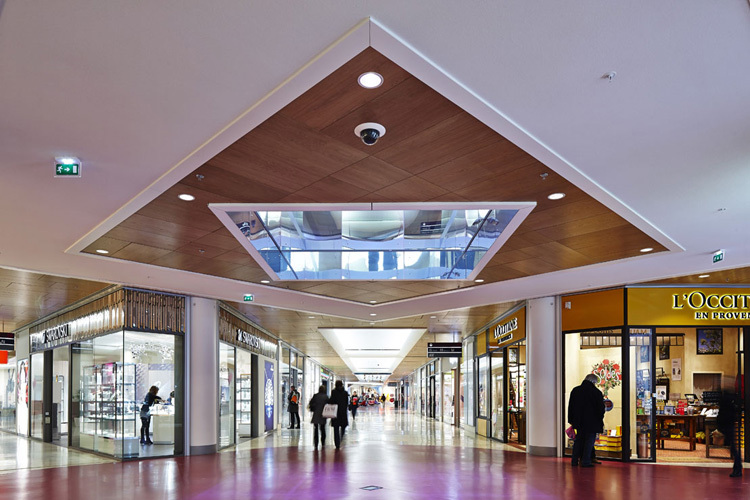 The model MODERN is assembled in a lowered ceiling system existing from T-24 mm profiles. Available in two modular sizes. By the graduated edge detail the panels hang floating with a mutual distance of 4 mm. Profiles invisible after assembly. (masked). Model SYSTEM consists of panels with patented compression springs. 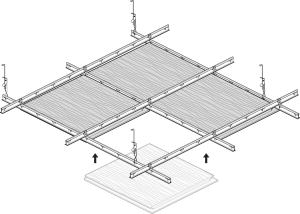 This allows for exact position determination and makes each panel removable from the bottom. Therefore plenum depth can be minimal. Mounted with black T-24 profiles the distance between the panels is 8 mm. Edge banding is made around the panels. 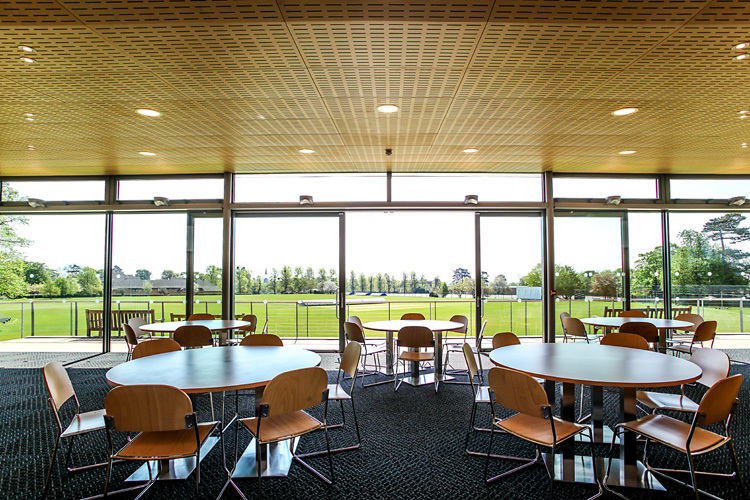 By the compression spring system the panels are also suitable for use outside under a canopy. This allows the ceiling to stretch from the inside out. Available in various modular dimensions. Profiles are partially visible after Assembly (semi-concealed). 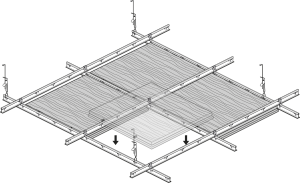 At model SELECT the panels are mounted contiguous. The ceiling profiles are no longer visible and yet each panel is removable. For the modular size 600 x 600 mm and 1200×600 mm on T-24 mm profiles can be used. For other dimensions are mounted with a Z-profile in combination with T-24 mm profile. The panels are round fitted with a small bevel. Profiles invisible after assembly (masked). size: modular or tailored to the project. 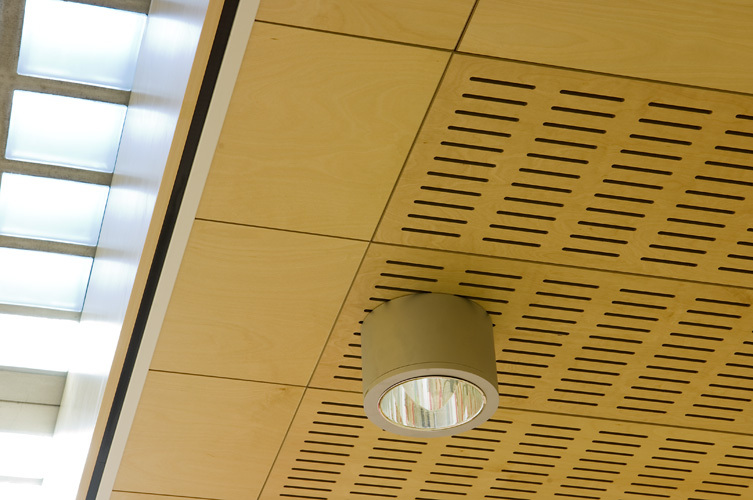 implementation: in lowered system ceiling optionally concealed, semi-concealed or concealed. 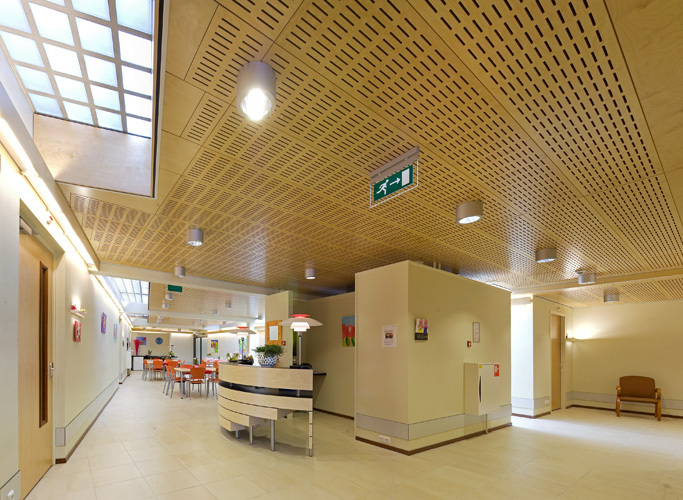 acoustics and lighting: many designs available and integrated lighting. 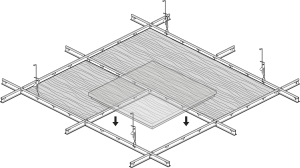 Ceiling panels in the form of square cassettes, rectangular counterfoils and also trapezium form are provided with openings to let through sound energy by CNC machines. As a result, Lawapan® is available in many designs; round perforations from micro to macro, oval-shaped perforations in the form of slots and notches in the U-and V-forms. 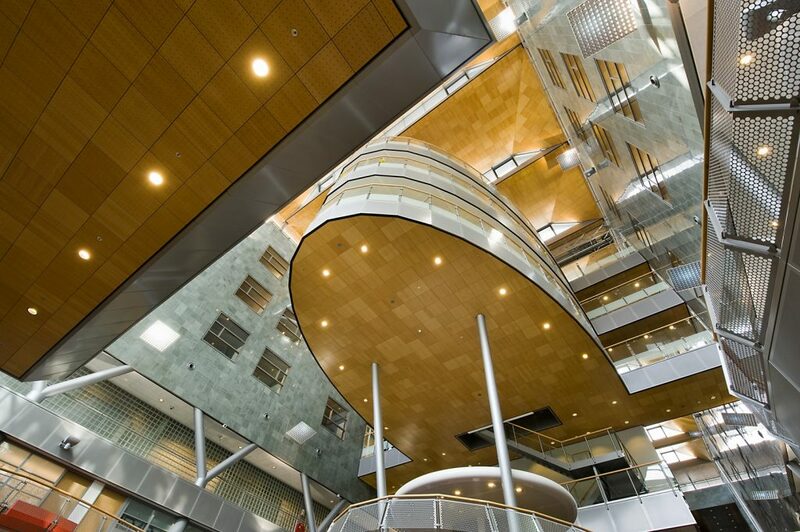 The intended acoustics is achieved by using a combination of flat (plain) panels for reflection and panels with round or oval perforations and slot patterns. 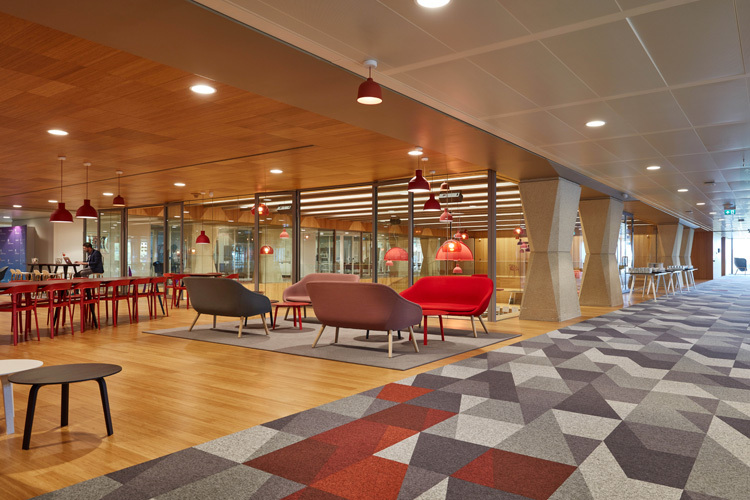 This creates the “open space” which is necessary for the sound absorption. The open space and thus the Alpha-w/NRC have been tested. Many models are tested and applicable. The acoustic canvas, which is applied at the back in the factory, ensures the transformation of vibration-into heat energy. Click here for further information on acoustics. The ceiling is important for light in the room. 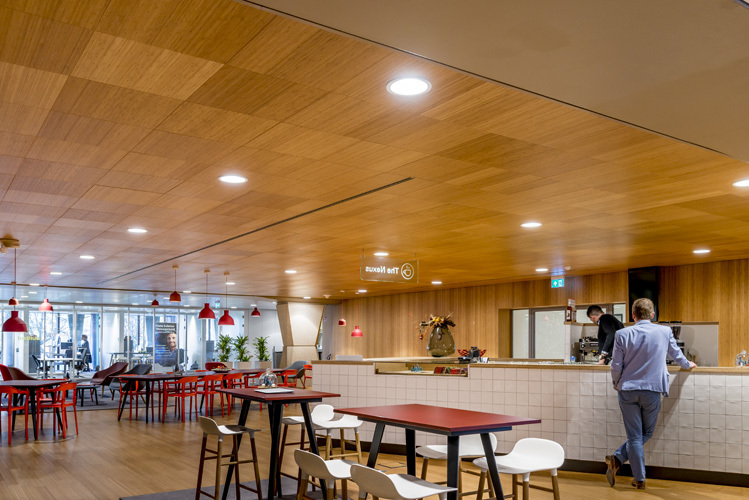 Light colour wood types reflect and spread the light so that energy is saved. Dark Woods absorb light what can create an atmosphere of security. 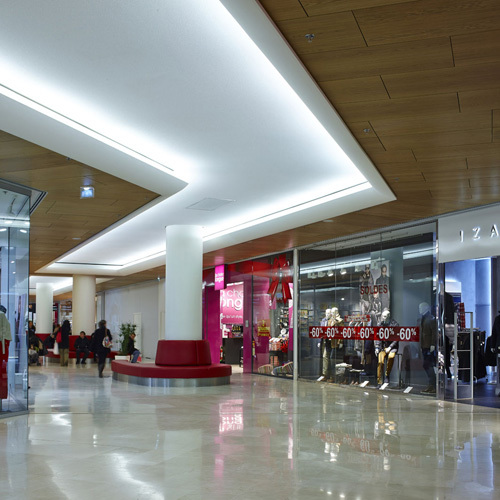 Modern lighting systems and LED in the panels are easy to integrate. Cut-outs for fixtures, sprinklers and speakers are factory made.